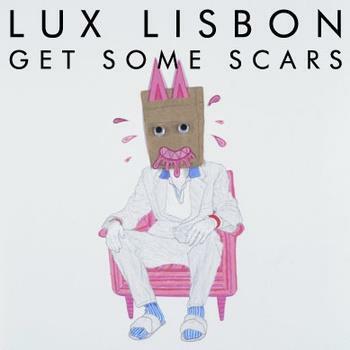 To sum up Lux Lisbon in a few words, this is music you just want to keep listening to. Lux Lisbon’s unique brand of classic rock inspired Indie power pop is electrifying, stimulating, and infectious. The 5-piece band met in Nottingham University and has been creating sprawling melodies and anthemic harmonies since its inception. With a sound like the Killers and Muse, Lux Lisbon is powerful and they are not afraid to demonstrate it. The band is made up of Stuart Rook – Vocals, Songwriting, Piano, Synths; Charlotte Austen – Vocals, Bass; Alastair Jones – Guitar; Johnny Colgan – Drums; Rob D’Ath – Guitar, Vocals. The band saps the full sound out of all of its instruments and vocals to create a theatrical, Spector-like wall-of-sound. The band will release an EP called Get Some Scars on March 25 of this year, and below is a sampling of the four tracks from the EP. They will be touring the UK to support the release. “Get Some Scars” begins with neat harmonies that transition into a steady beat. The vocals are spot on; a Brandon Flowers-like croon with deeper inflections. The chorus, featuring an amalgamation of voices, hooks the listener. Heck, the entire song has that effervescent, hooky quality that encompasses good pop songs. It makes you want to hit repeat when the song ends. But before it does, pay close attention to the skillful vocal layering at around 3:30 (“when I get to the gutter). Organized, contagious, and cool. “Bullingdon Club” is heavier. The song is certainly more Muse-like. It is an ardent, Matchbox 20-like, heavy-hitter with all the qualities of a great power rock hit: effective electric guitar, tremendous vocal, well-placed synth, fast-paced percussion, and moving bass. This is one heck of a composition.